While this PC review makes a slight tangent from my usual ramblings about the Japanese outdoors, it would be fair to say that a solid grounding in technology, in this case desktop PC components is vital for creating an efficient digital photography workflow. The recent release of the enthusiast class Intel X99 Express Chipset means time has finally come to retire my faithful yet sightly ailing six year old Bloomfield Core i7-920 and MSI X58 motherboard. Over the past few weeks I have been feverishly planning and reading up on reviews in anticipation of assembling a performance build centred around the new Intel Core i7-5820K. The main purpose of this new rig is primarily for content creation such as photo editing, videography and rendering along with some occasional gaming. A foremost consideration was achieving a quiet computing experience thus special attention was paid to the selection of graphics card, CPU cooler and power supply. Where practicable, I have endeavoured to recycle components from my previous build such as the chassis, a SSD and sound card to reduce the overall cost. The final result I believe speaks for itself, with the new components melding unassumingly around a sound insulated Japanese made Abee PC case. Newly acquired PC components awaiting installation. Although the new hex-core Intel Core i7-5820K is the entry point processor in the X99 line-up it provides hands down the best bang for buck performance for prosumers. Unlike the Sandy Bridge and Ivy Bridge microarchitecture that preceded it, it’s nice to see Intel has equipped all Haswell-E processors with at least 6 cores and 15mb of smart cache. The 28 PCI Express lanes provide ample bandwidth for multi GPU setups or other expansion cards. Though the advantage of only one graphics card means no PCIe lane restrictions. The 28 lanes and 6 cores delivers prosumer performance at an affordable price tag. Whilst the Scythe brand hasn’t garnered much of a following in the North American market in Japan it’s a virtual household name amongst PC enthusiasts looking for performance cooling solutions. As the rig has been configured around modest gaming the Kotetsu single fan heat sink was deemed sufficient. To assist with heat dissipation 56 aluminium fins are friction fitted to thick copper heat pipes and soldered to a nickel-plated copper base. The GlideStream fan runs at a top nominal speed of 1400 RPM and under normal use at around 700-900 RPM the fan is barely audible. Unlike some other aftermarket coolers you won’t be tearing your hair out in exasperation either as installing the Kotetsu is has been simplified with easy to affix mounting clips and clever use of a crossbar fitted to the slots above the base plate. 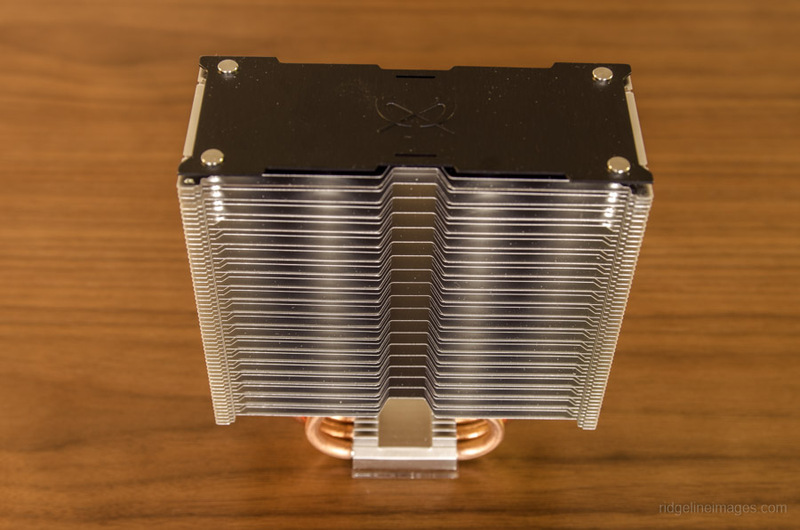 Elite level heat sink that punches above its weight with a user friendly mounting system. At the card’s debut back in September it was snapped up faster than tickets to a One Direction concert and for good reason. 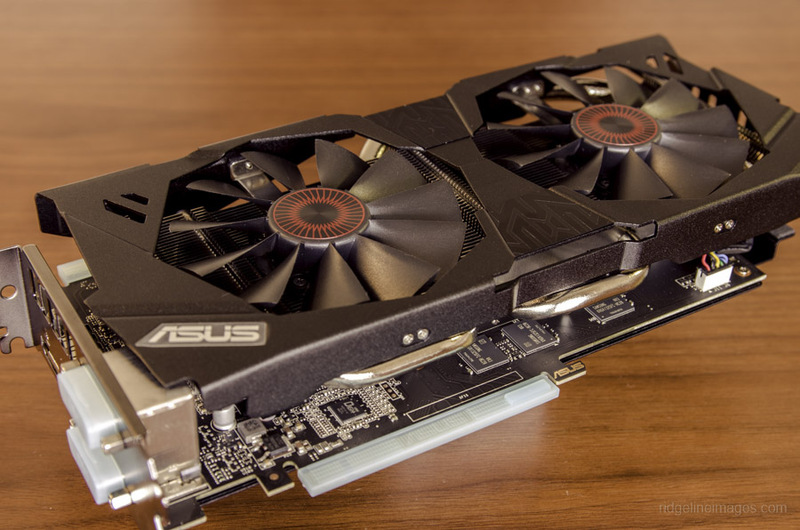 Compared to the GeForce GTX 970 stock the ASUS Strix comes with higher base and boost GPU clock frequencies. Backed by the impressive power efficiency of Maxwell means a lower TDP of 145W compared with GeForce GTX 770 at 230W. The really nice aspect of the GPU is that the fan doesn’t turn on under low loads, only when a temperature threshold of 65°C is reached. Gaming at 2560 x 1440 at max settings such as on the EIZO FlexScan SX2762W simply becomes less taxing and the ASUS Strix can potential handle much higher resolutions albeit at reduced settings. Needless to say coming from my previous SAPPHIRE HD 6850 1GB the difference is out of this world. The new Maxwell GPU architecture affords lower TDPs for solid all round game play. Sitting contentedly between the entry level X99-A and the enthusiast class X99-Deluxe, the X99-Pro shares much of the interoperability of its older sibling at a more fitting price point. The main reason for its selection was for the wireless data network with support for 802.11ac Wi-Fi and Bluetooth V4.0. The motherboard features a patent-pending ASUS OC socket which comprises extra pins to enhance overclocking performance. ASUS provide three PCIe 3.0 x16 slots and with a 28-lane CPU means a stand-alone GTX 970 runs at full x16 speed. The rear I/O panel includes 6 x USB 3.0 and 4 x USB 2.0 with the bottom port under the PS/2 keyboard and mouse combo supporting USB BIOS Flashback. The BIOS Flashback method utilised by ASUS only requires an ATX power connector and a formatted USB with the renamed BIOS CAP file in the root directory. The motherboard currently supports up to 64GB of 3300 MHz quad-channel memory allowing plenty of scope for future upgrade. Excellent connectivity and advanced wireless networking in this high-end X99 board. As a niche Japanese vendor catering solely for the domestic market, Abee has earned a solid reputation for its high quality workmanship akin to Lian Li. 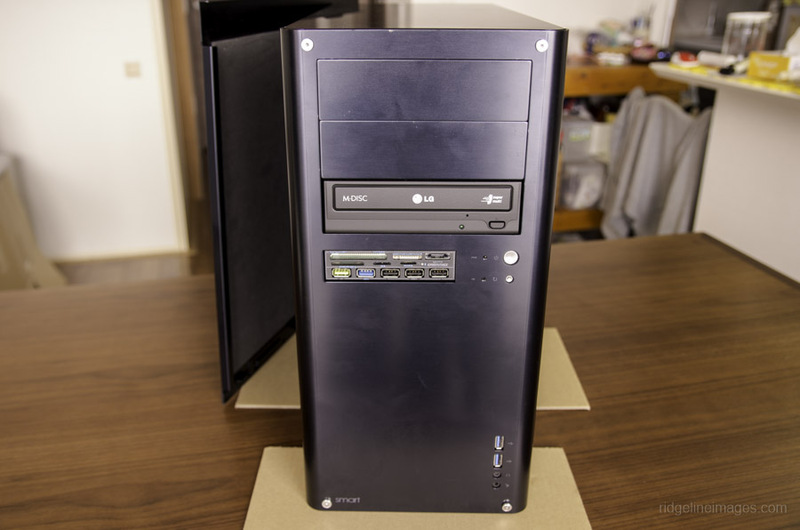 Its PC cases are all manufactured in Japan and backed with an industry leading five year warranty. The premium ATX case used for this build is made from high-quality aluminium and whilst compact has enough of room and sufficient ventilation via front and rear fans. To enhance airflow the power cable is routed behind the motherboard. The lower right corner of the front panel has a HD-audio enabled headphone output terminal and microphone jack along with two USB 3.0 connectors. The expansion card space has a depth of 300mm providing enough legroom for the graphics card. As a final nod to noise reduction the walls are embellished with 4mm thick sound insulation sheets. Abee’s no compromises approach to manufacturing recognises it as a class leader. 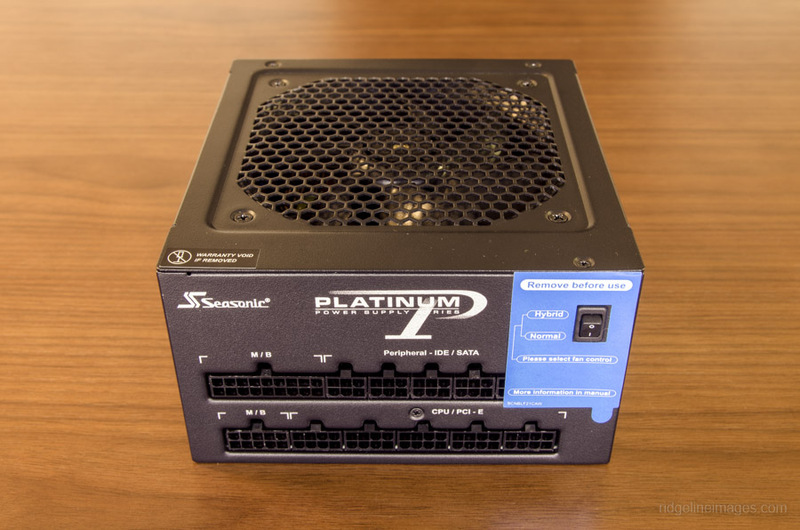 Seasonic churns out some of the best PSUs on the market and the Platinum-660 is no exception. While my previous six year old Enermax PRO82+ 525W was quiet and met Bronze efficiency requirements its drawback was its non-modular design. The Seasonic Platinum-660 by contrast is fully modular and class leading and every respect. 80 Plus Platinum efficiency means at 50 percent load its 92 percent efficient translating to substantial long term power savings. The Seasonic PSU contains a flexible assortment of cables including a Floppy connector via a Y-adapter to power the Xonar DX sound card. Only the ATX connector is sleeved with the other cables using a ribbon style to maximize air circulation. The only drawback of purchasing the unit here in Japan is the local distributor only offers a 5 year warranty as opposed to the standard 7 years Seasonic provides in other regions. Platinum efficiency savings back by an industry leading 7 year warranty. As a fast and reliable SDD and Samsung 850 Pro ticks all the boxes as far as performance is concerned. 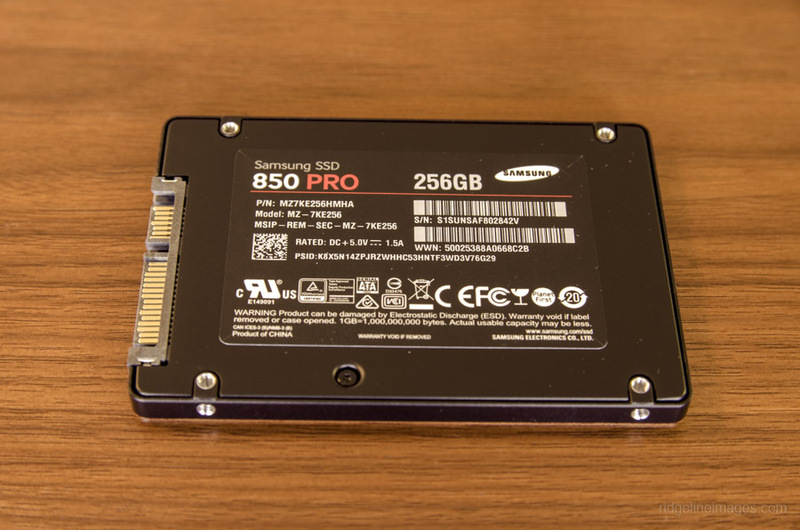 While the 550/mbs read and 520/mbs write speeds are typical for this calibre of SSD, what stands Samsung apart from its competitors is its utilisation of 3D NAND which means additional speed, endurance and power efficiency compared with 2D Planar NAND. Following in SanDisk’s Extreme Pro footsteps, Samsung also delivers a whopping 10 warranty with these drives. Arguably the best consumer grade SSD on the market. 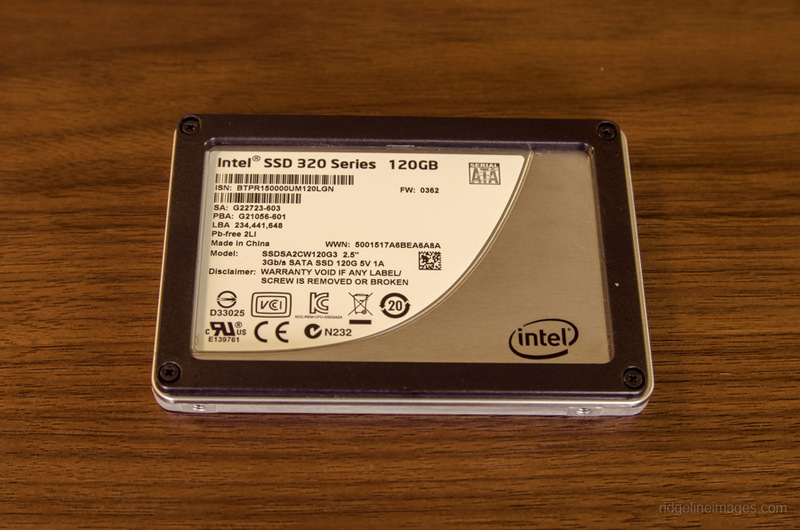 The slightly aged Intel 320 series SSD has been recycled and will be used primarily for games storage. Whilst its SATA II interface isn’t blazingly fast with sustained sequential read speeds reaching only 270/mbs it will however mean reduced load times even if gameplay performance remains similar. Whilst a bit long in the tooth this SSD significantly boosts game load times. 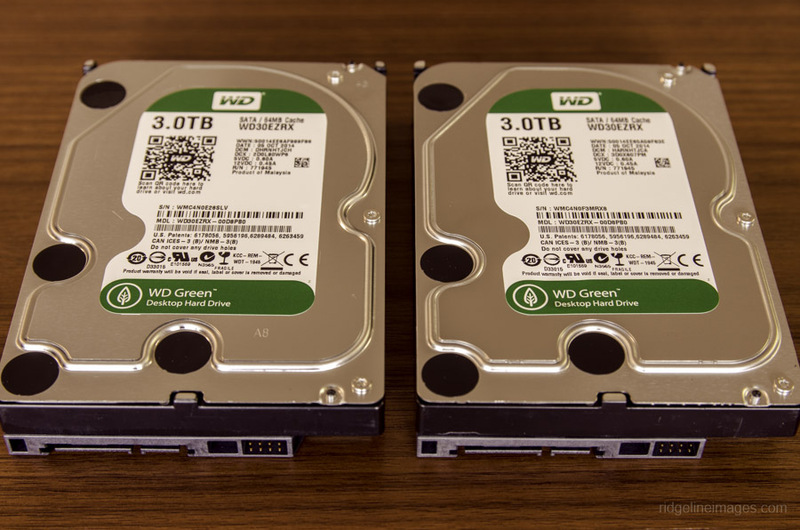 The Western Digital Green SATA 6 Gb/s hard drives hit the right sweet spot for price, performance and efficiency. These hard drives will take advantage Window Storage Spaces using a two-way mirror which along with protecting a single drive from failure increases read performance. Further redundancy storage needs are met using a salvaged Seagate 2 TB hard drive. Caters for surplus storage needs. As the X99 Chipset is the first to make use of DDR4 memory modules, affordability becomes an overriding concern with some quad-channel kits approaching the cost of a high end graphics card. Compared to when DDR3 technology was introduced back in 2007, DDR4 delivers more bandwidth and energy efficiency and is up to twice as fast. While these Crucial 16GB DDR4 memory modules won’t be winning awards in the design aesthetics department, the company’s reputation for producing reliable RAM makes them a logical and cost effective choice. Although stock at 2133MHz early commentators have alluded to their moderate overclocking potential. DDR4 memory improves performance with increased bandwidth while using less power. A discrete sound card might seem like a peculiar choice considering the Asus X99-Pro motherboard provides Realtek 8-Channel High Definition Audio however there are two reasons for its inclusion. First the Asus Xonar DX card was used in my previous build, though more significantly according to the RightMark Audio Analyzer test report the Xonar DX attains an excellent score card in all categories thereby narrowly outperforming the Crystal Sound 2. All things considered the difference is no doubt subtle and running with the on-board audio solution is probably fine for most users. Still one the best PC audio upgrades for general music listening and gaming. Optical drives have become somewhat redundant in recent years with music and movie streaming services, software vendors steering us towards downloads and use of USB sticks for OS installs. Still for burning discs and legacy software, I feel they will remain with us for some time. 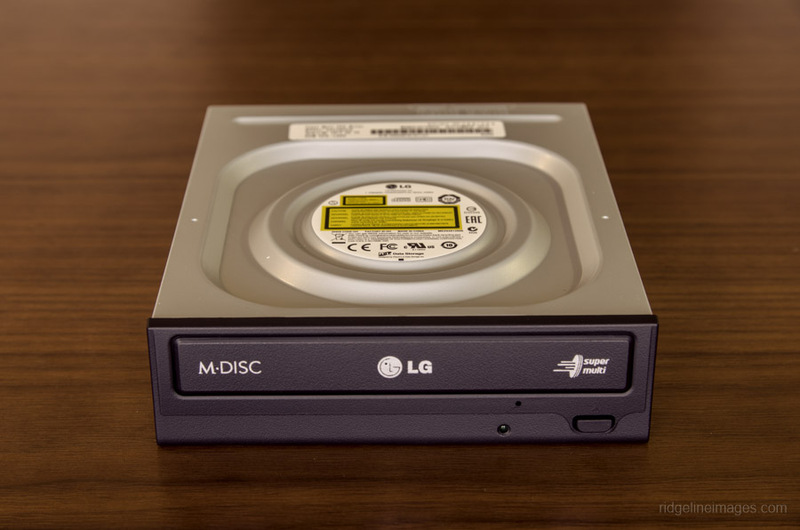 The LG DVD Rewriter model chosen for this build has been positively received and while it can be a tad noisy at full revs it’s nice to see LG have included M-DISC functionality which according to Millenniata it’s creator will safeguard your data for up to 1,000 years. M-DISC integration means your priceless data can be stored longer. Something sorely missing from my previous case was a built in card reader. With the newly released Enermax ECR301 means no longer having to fiddle around with a USB dongle. Along with an additional USB 3.0 port, three USB 2.0 ports it features a USB Super Charge port for smartphones and tablets (up to 2.4A). This 5-in-1 card reader reads all standard cards as well as sporting a convenient eSATA port. This multi card reader includes a USB Super Charge port for smartphones and tablets. By no means perfect this later version thankfully addressed a few annoyances plagued by its predecessor. Only hoping its next iteration brings back the much cherished Windows Start menu. Quietly optimistic that Windows 10 will address this version’s shortfalls. This workhorse of a monitor has been serving me tirelessly for the past three and half years and in that time has hardly skipped a beat. 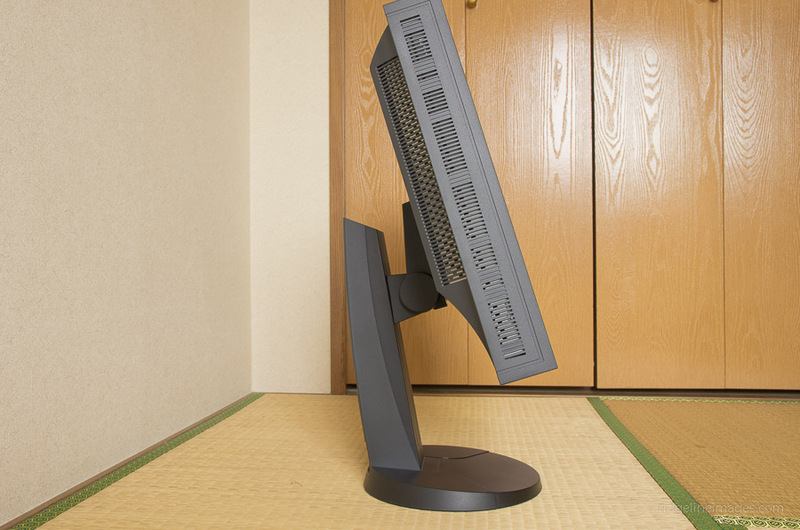 Last year I posted a comprehensive review of EIZO FlexScan SX2762W and with close to 6,000 hours of use clocked up I can’t say enough nice things about this beast of a display. Aside from routine recalibration and fine tuning using the EIZO EasyPIX Colour Matching Tool it continues to provide predictable colour outcomes. Professional grade screen with an excellent feature set. Striving for a performance PC build doesn’t come cheap and certainly I could have opted for more mainstream components to reduce the overall cost. However from previous builds I have learnt the hard way that cutting costs often amounts to false economy and future proofing a build is often a wiser decision. At just under the $2,000 dollar mark for the entire build, will hopefully mean this rig will stand the test of time apart from the odd component upgrade. Mission accomplished new and old components fused together. I’m awfully curious what your temps were idle, at load, and with synthetic stress tests like Prime95 or Intel Burn Test. I’m running a core i75820k on the similar Asus X-99A with the same Kotetsu cooler you are. To clarify: I’m curious about your CPU temps in particular. I did a (overall) similar build, also using a seasonic platinum PSU, two Geforce 970 GTX cards (for 2-way SLI), and a Samsung 850 EVO SSD 1 TB since the users (aka some family members) don’t store media, but do like games. Even throwing everything I could at it, my GPUs never hit above 86C, even running furmark with post processing. I’m VERY curious to see another Kotetsu with a 5820k’s temps. Good question! I just ran the FurMark GPU Stress Test both with and without anti-aliasing and the highest GPU temperature I could achieve was a lowly 74C. The system remained very stable and quiet. As I and others have mentioned the Kotetsu definitely punches above its weight. BTW nice to see someone else has assembled a very similar PC build. What was the highest CPU temp you hit? On the FurMark CPU burner test the highest CPU temperature recorded on SpeedFan was 54C. Pretty damn low considering I was running the test for 10 plus minutes. Thanks for posting this its a great build. I’m currently planing a system build; and would very much like to use a 5820k with Kotetsu. Are your temperatures stock or overclocked? I’d want to over clock and am wondering if that maybe too much for the Kotetsu. Appreciate the feedback. The temperature I mentioned was stock, though in my experience the Kotetsu handles most overclocking scenarios pretty effectively. Just make sure the case has sufficient fans and ventilation. Thanks for your prompt reply David. I do really like your build =) Think I’ll make the jump and get the Kotetsu; Scythe. This graph is interesting – The 160tdp – http://us.hardware.info/reviews/5629/5/39-cpu-coolers-review-what-is-the-best-choice-graphs-cooling-socketn2011 – The Kotetsu outperforms the Noctua Nh-U12s – which has a much higher TDP. I think Scythe are underselling themselves with just a rating of 130tdp. Anyways, thanks again for getting back to me.